Born and raised in Bulgaria, and currently living in the United States, Svetlana Bachevanova is a photojournalist and the co-founder of FotoEvidence. Founded with her partner David Stuart in 2010, FotoEvidence is a publisher and activist organization supporting documentary photography with a focus on human rights and social justice issues. FotoEvidence’s mission continues Bachevanova’s work as a journalist, which began during the days of the transformation of her native Bulgaria’s move to democracy from dictatorship. She worked as a photojournalist for the newspaper Democrazia, and later with the Bulgarian News Agency. Since last year, FotoEvidence has partnered with the World Press Photo Awards, presenting the FotoEvidence Book Award, dedicated to reward the best project that conveys the spirit and courage that seeks to create awareness of injustice and indignity in the world. She will be at the Focus on the Story International Photo Festival doing portfolio reviews, which she says is one way that she finds potential book projects. 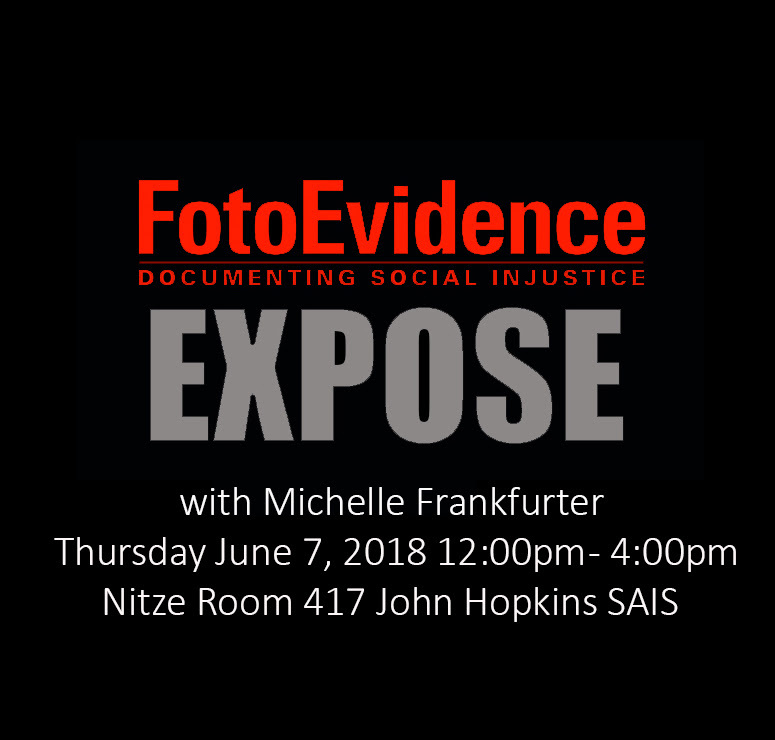 FotoEvidence is also sponsoring an EXPOSE workshop at the festival, which will be led by documentary photographer Michelle Frankfurter, who will lead participants through the process of executing a long-term project and turning it into a book. You can register for Michelle’s workshop, here. 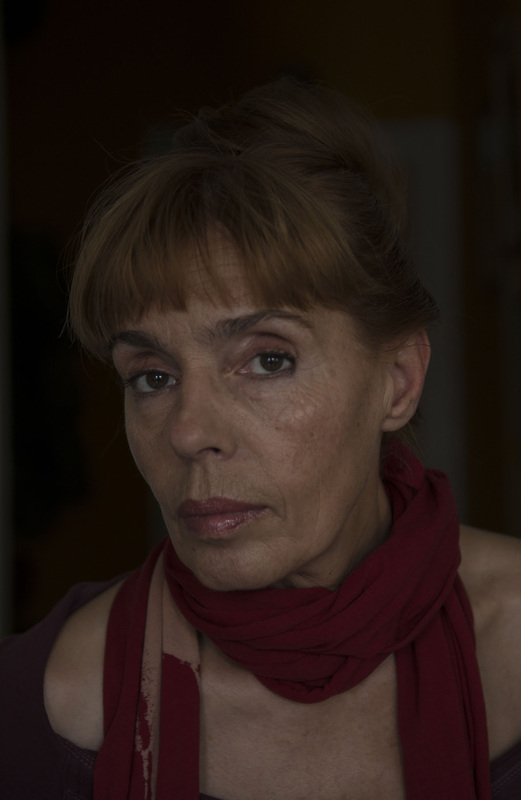 Svetlana will conduct portfolio reviews at the Focus on the Story International Photo Festival. Register here. Mike Lee: Tell us about how you came to photography, how your work developed in the last years of the communist dictatorship, and your role documenting the 1989 revolution and the aftermath. Svetlana Bachevanova: First, I wanted to be a sculptor. Before long, I realized that I didn’t have the temperament of a sculptor. It was too slow a process. But photography gave me almost instant results in the darkroom. Unfortunately, photojournalism at this time in Bulgaria was purely communist propaganda and staged events. So, instead, I worked in art photography – nudes, conceptual photography. Eight years passed before I got my first real job as photojournalist at the first anticommunist newspaper, Demokrazia. After Demokrazia, I became the first female photo director of the Bulgarian National News Agency but left Bulgaria when the Communists regained power under the banner of the Bulgarian Socialist Party. After discovering the power of photography to expose social injustice I feel inseparably connected with my work as a photojournalist. Now, as the publisher of FotoEvidence, I remain focused on photojournalism and its ability to expose injustice and inspire change. Lee: You also covered the Kosovo War and other assignments during the 1990s. How did those assignments shape your view for later work? Bachevanova: The war in Kosovo was my first war. I was young and passionate about the injustice suffered by the Muslim population there. On the other side of the conflict were the communists, Milosevic and Arkan’s Tigers. There was no way for me to have a balanced view in this situation. I was on the side of the powerless. With the help of a dear and brave friend of mine, who was driving our car, I was able to go places that the Serbian press center in Pristina would never allow me to go. I had the misfortune of witnessing and photographing what the Serbian militia did to the Muslim men from a small village near Pristina. They were captured, tortured, castrated and left to die. 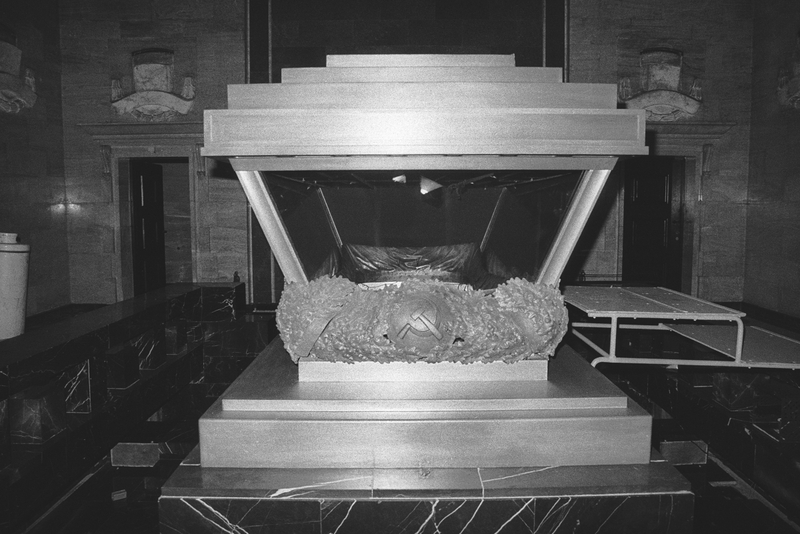 We found them in a warehouse where the bodies were left for five or six days before the mass burial. The people from the village were eager to show us the evidence. I decided to hide my film under one of the tires of the car, in case somebody stopped us. I loaded my cameras with new film. A few minutes after we left the village, Arkan’s soldiers pulled our car off the road. My cameras and the car were checked for film. They took the unexposed film I had just loaded. Back in Pristina, I developed the photographs and later in the day those images where broadcasted by my agency to AP, Agnc France-Presse, EPA and other agencies. Somebody told me that these images were the first clear evidence of Serbian atrocities against Muslims in Kosovo. I was glad that I was able to help expose these atrocities and show the world the true face of the communist regime in the former Yugoslavia. I like to think that those images had something to do with how the world reacted to the conflict in Kosovo. Lee: What inspired you to create FotoEvidence and how has the project developed since? Bachevanova: I was born in Bulgaria, in the dark age of Communism. There, I witnessed and experienced the worst of living under oppression: the disappearance of people with dissenting political views, people sent to prison for asking political questions, parents who escaped the country leaving their children behind, oppression of ethnic Turks and Roma, the silencing of intellectuals, and the forced conversion of religious minorities. I first became a human rights activist to protect religious minorities during a period or persecution. In 1990, after the fall of the Berlin Wall, I become chief photographer for the first anticommunist newspaper in Bulgaria, Demokrazia. There, I photographed and wrote about the struggle to wrest my country from the Communists. My work has always been focused on human rights and freedom of expression. I created the FotoEvidence Book Award because every photographer wants a book and some projects are unlikely to attract a commercial publisher. FotoEvidence opposes censorship and the anesthetizing of painful issues, so some of our books contain disturbing images of human brutality. In 2018, FotoEvidence partnered with World Press Photo and the book award became the FotoEvidence Book Award with World Press Photo. FotoEvidence was my idea but the realization of the project would not be possible without the support of several dedicated and like-minded people who contributed their skills, including David Stuart, Regina Monfort and Jim Wintner. FotoEvidence has published 20 books addressing a wide range of issues including: Sectarian violence in the Central African Republic, The Unraveling by Marcus Bleasdale; the treatment of the mentally ill in seven African countries in crisis, Condemned by Robin Hammond; people continuing to suffer consequences from the world’s worst industrial accident in Bhopal, India, 30 years later, Bhopal Second Disaster by Alex Masi; daily life amidst decades of war in Afghanistan, Life in War by Majid Saeedi; the enduring trauma of indigenous Canadians who suffered forced assimilation in church-run boarding schools, Signs of Your Identity by Daniella Zalcman; the pursuit of normalcy by Palestinians living under the modern world’s longest occupation, Occupied Pleasures by Tanya Habjouqa; violence against women in Papua New Guinea, Crying Meri by Vlad Sokhin; the virtual enslavement of boys in Islamic schools in Senegal, Talibés by Mario Cruz. 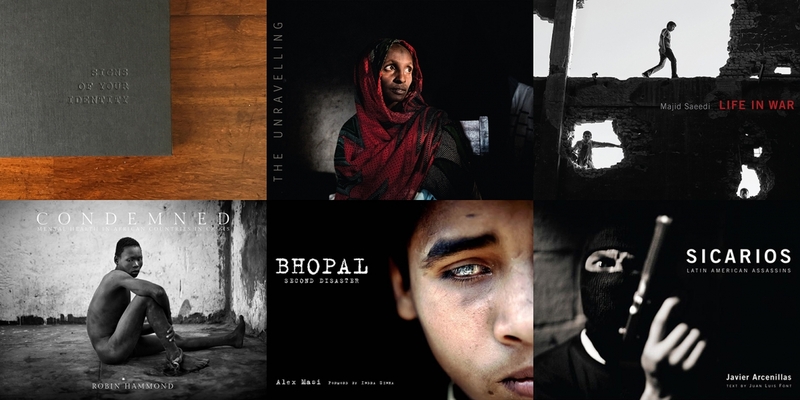 Several FotoEvidence books have found their way on to best-photo-books-of-the-year lists at TIME, The New York Times, Smithsonian Magazine, Mother Jones, Vogue and Photo-eye. In two cases, the photography we helped promote directly influenced governments to begin a process of social change. I am extremely proud with what we had accomplished and I wish we had the resources to do more. Sponsors and supporters are more than welcome. Lee: I am interested in your first years in the United States, particularly with your compelling work on the Lakota tribe. 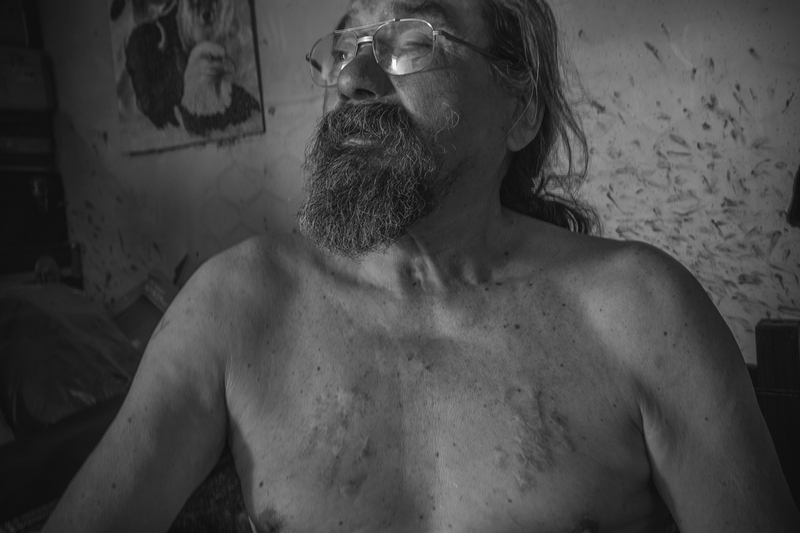 Bachevanova: This is an old love story between me and the Lakota. In 1966, in search of a role model for the young generation, the East German Communist Party took the decision to start producing their version of the American western movie. In these westerns, the cowboys, the Americans, were the bad guys; often depicted as rude, arrogant, sly and violent. The Indians were the good people: brave, honorable victims. Most of the movie characters were from the Oglala tribe, with their distinctive headdress and their long resistance against the white man. Growing in up in a communist country I watched all these movies. The Indians became my heroes. I wanted to be Crazy Horse and I was. Every year my parents sent me to my grandmother’s village where I spent the summers living in a self-made tepee, wearing a headdress made from turkey feathers. In 2001, I moved to US to cover the post-9/11 events. Visiting the Pine Ridge Indian Reservation was always a goal; I saw it as an opportunity to visit places where the spirit of Crazy Horse can still be found. What I found there was beyond my imagination: poverty that I can only compare with living under a communist regime. I decided to start working on projects there that I felt would restore the old Lakota spirit of my childhood heroes. First I produced “The Rez- Home of the Lakota Nation,” work that depicts everyday life and the struggle for survival in the reservation. When I discovered that Native Americans join the U.S. military at the highest rate of any ethnic group, I focused on veterans. “I Wanted to be Rambo I Wanted to be Lakota” is a sad story about how the warrior tradition among Lakota sends their young men to prove their manhood in the US military and the consequences of this as they return to the reservation. Lee: In your portfolio reviews of submissions to FotoEvidence, what specifically are you looking for? In your editorial view, what makes for a strong, decisive series that tells a story, calling the viewers attention to a subject? What are the mistakes photojournalists must avoid while preparing to present their work? Bachevanova: I prefer to meet photographers that are familiar with FotoEvidence publications. A strong, decisive series that tells a story, requires not only good photography but also a knowledge of the issue, an understanding of the culture and compassion for one’s subjects. Lee: Tell us about what you are working on now. Bachevanova: FotoEvidence just printed the book Standing Strong by Josué Rivas, the winner of the 2018 FotoEvidence Book Award with World Press Photo. The book will be launched in Amsterdam during the World Press Photo festival. The USA launch is scheduled for June 2nd at the Bronx Documentary Center in New York. FotoEvidence is a co-publisher of João Pina’s book, 46750, a visual account of the Rio de Janeiro last decade, a portrait of the so-called “wonder city,” with all its contrasts and complexities. 46,750 is also the number of homicides that occurred in city’s metropolitan area during the decade between 2007 and 2016, the time during which João Pina worked there; that’s an average of 13 homicides per day. The release of the English language version is scheduled for June 5, also at the Bronx Documentary Center. We are preparing the publication of A Light Inside by Danielle Villasana, who was a finalist for the book award this year. We recently launched The FotoEvidence Gallery on line. Prints from some of the books we published are available for sale. EXPOSE is an educational workshop organized by FotoEvidence for photographers who want to meet one of FotoEvidence’s published photographers for guidance on developing long-term projects with goal of a book.